The Top 3 are in! Guest Judge's selections coming in the New Year! We’re excited to announce what we hope will become an annual Inkshares tradition. The List. Each year in Hollywood, industry insiders vote for the best unproduced screenplays of the year. The list of nominees forms the The Blacklist, which was originally established (and is still operated) by Franklin Leonard. Past nominees include Argo, Slumdog Millionaire, The King’s Speech, Juno, Spotlight, and The Revenant, just to name a few. Revisiting amazing stories that may have gotten lost in the melee is important to Inkshares. Accordingly, we’re excited to announce our own version of The Blacklist—simply The List, because we couldn’t decide on a color. The 2016 List will form the basis for the final contest of the year, focused on the top-voted projects that haven’t reached full Inkshares. This includes: drafts that have not yet gone into funding; Quill projects that haven’t reached 750 and also haven’t gone into production; and still-funding projects. As it’s the final contest of the year, projects that are funding in another contest are eligible as well. We collected and tabulated votes from funded authors, producers, and the Inkshares staff. The nominations are in, and presented below. The three books with the most unique pre-orders on December 31st will be selected for publishing. And to add an additional level of excitement, there will be three Guest Judges, to be announced on December 1st. Jokes aside, this has been an amazing year at Inkshares, with strong successes—from starred reviews to six-figure TV and film deals—for new author voices. We’re excited about The List as an amazing way to work hard in the last six weeks of the year. Inkshares will publish the three books with the most unique pre-orders. There will also be three Guest Judges—each will be able to choose a book for publication even if outside of the top three. This differs from other contests in certain ways. #1 There’s no outside sponsor. Usually our contests are focused on getting into a collection operated by a third party like Legendary Entertainment. But as Inkshares has grown in size and scope, we’ve been anxious to bring together all of the parties in a networked manner that would allow us to bubble up new voices. In that vein, we’ve been lucky to have input from all the amazing folks in our ecosystem, from authors to agents to producers. #2 Previous readers and orders count. For one, authors who are currently funding will be able to count those users toward the contest. While this will give some authors a “head start,” six weeks is a long time and these things tend to even out as newer projects gather quick momentum. In most recent Geek & Sundry contest, the winning title entered roughly halfway through. While there isn’t an outside sponsor, there will be three Guest Judges. 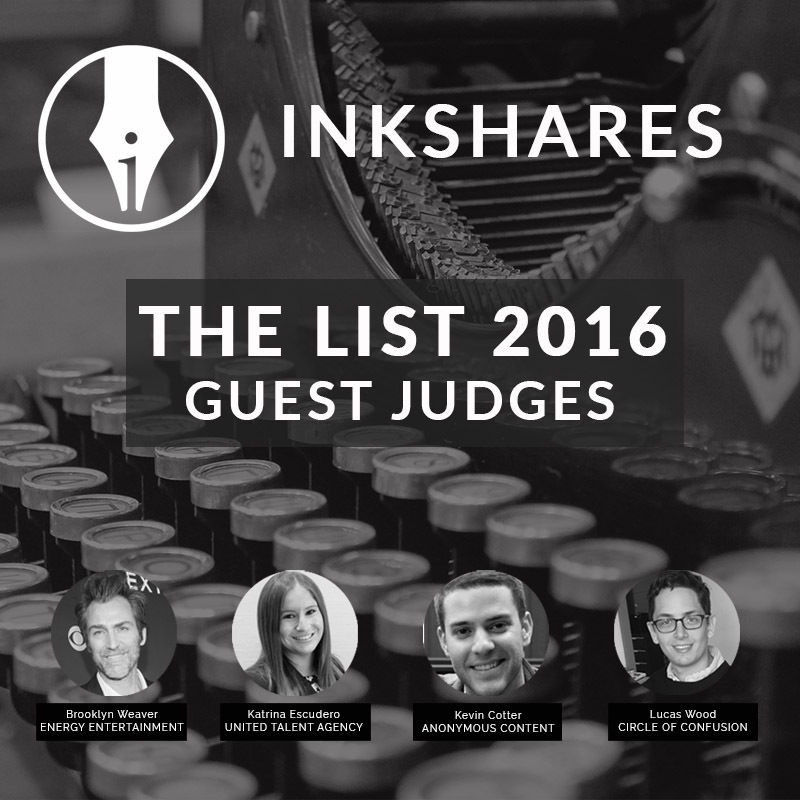 We’ll be announcing these judges on December 1st. Each of the Guest Judges will have the ability to greenlight a book outside of the top 3. #4 If you’re in Launchpad, that contest is your primary contest. Many of the nominees on this list are also in the Launchpad contest, which is otherwise the last contest of the year. We thought it would be the most fair for folks in that contest to be able to cross-list in this contest; but should they get published in that contest first, they will fall out of this contest (though keep the accolade of the nomination).